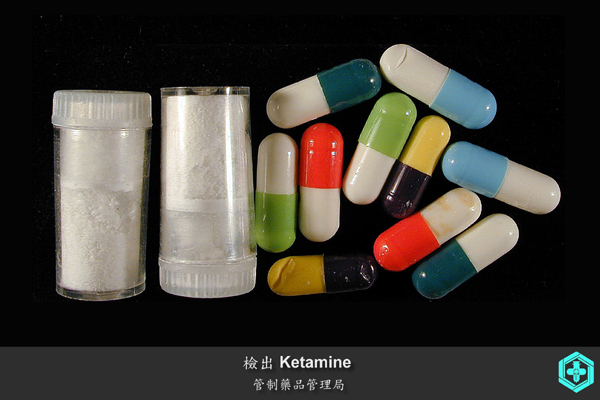 LGB people are 13 times more likely to have used ketamine than the general population. A recent report undertaken by both the Lesbian and Gay Foundation (LGF) and the University of Central Lancashire has argues that there is “significant problematic substance use among lesbian, gay and bisexual people”, with them seven times more likely to be taking illegal drugs such as cannabis, ketamine, cocaine and amphetamines. The research took place over a two year period and involved interviewing 4,000 individuals. One in five of those who were spoken to showed signs of dependency on either drugs or alcohol. A comparison with the Crime Survey for England and Wales (CSEW), which shows that five percent of the population as a whole admits using illegal drugs in the last month is even more unsettling. The figure for lesbians, gay men and bisexual people is nearer a third. For those of us who are familiar with the gay scene, especially in larger cities, it probably comes as little surprise that there is a problem, but what strikes me is the stark contrast LGB drug use has with that of the general population. I had presumed that the levels would have been broadly comparable. What the research doesn’t answer clearly is why this is taking place. One pertinent fact was that whilst drug use tends to decrease with age across the population as a whole, the research report finds that LGB people between 36-40 were taking just as many drugs as younger groups. This may have something to do with the broadly different life experiences (smaller numbers of LGB people starting families compared to their heterosexual counterparts), but also may be a coping reaction to the greater degree of homophobia that many older LGB people have experienced in their youth. In addition, with a greater emphasis on the gay bar and club scene as the core of LGBT communities in many towns and cities, you could also argue that commercial partying and hedonism is now at the heart of the experience of being gay. In political terms, it is becoming clearer that there needs to be further investment in ensuring that drug treatment services are more responsive and increased resourced are aimed at the LGBT community. Unsurprisingly, this is at a time when the coalition Government is actively cutting health services, especially those not deemed sufficiently front-line and essential. Within the LGBT community, I do believe this needs to act as a wake-up call for us to start questioning an element of gay life that has become increasingly mainstream and unremarked upon. Considering the visceral connection between drug and alcohol abuse and exposure to HIV infection, this remains an issue where lives are genuinely at stake. At a time when for many mainstream commentators, it feels like the battles for equality have been largely won, this report reminds me that complacency has to be tackled head on. At our AGM for the LGBTIQ Greens earlier this month, members forcibly argued that whilst attending Pride festivals around the UK remains an important opportunity to show solidarity and engage with their local LGBTIQ communities, they hoped that the group would spend more time in the next year campaigning on national issues that aren’t getting the attention they should. In my view, one of these should be a serious examination of the role drugs are playing in our communities. I’m one voice though. What do others think? As part of our planning for this year, we want to hear from LGBTIQ people, both within and without the Green party, on what our focus issues should be in the next twelve months. Let us know. As you say, it doesn’t really come as a surprise to me having experienced the gay scene in various cities, but it is worrying when you think about the higher incidence of mental health problems found in the community, and the link between these and regular drug use. Thanks for articulating a view I share Stephen, it’s a helpful response to a piece of news that I fear may be used in a negative way by enemies of the community.